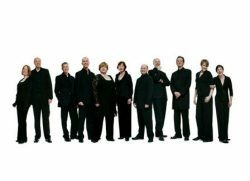 THE Tallis Scholars and the Halle orchestra, conducted by Sir Mark Elder, are among the delights in store at this year’s 28th annual Bath Mozartfest, from 9th to 17th November. The opening concert on Friday 9th at 8pm, at the Assembly Rooms, features the Jerusalem Quartet, joined by Gary Hoffman, cello, playing quartets by Mozart and Schubert and the late quintet in C major by Schubert, regarded as the composer’s masterpiece. 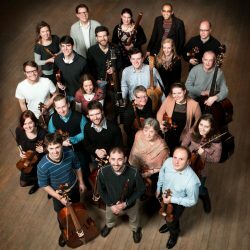 The Nash Ensemble are at the Assembly Rooms on Saturday at 11am playing works by Mozart, Weber and Beethoven, and the Halle are at the Forum in the evening, for a programme that includes Beethoven’s Piano Concerto No 5, with Francesco Piemontesi, and orchestral music from Wagner’s Lohengrin and Die Meistersinger. 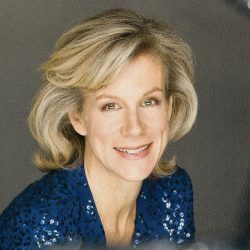 Juliet Stevenson joins Bath Camerata at St Mary’s, Bathwick, on Sunday 11th, for They Are At Rest, a late afternoon programme of words and music marking the centenary of the First World War Armistice. The evening concert at the Assembly Rooms features pianist Angela Hewitt playing works by Beethoven, Mozart and Ravel. Monday’s programme includes the Sitkovetsky Piano Trio at lunchtime at the Guildhall, and the Takacs Quartet in a Mozart-Shostakovich-Brahms programme at the Assembly Rooms in the evening. A quartet of oboist Celine Moinet, violinist Henning Kraggerud, viola player Lawrence Power and cellist Adrian Brendel plays Mozart and Britten at the Tuesday lunchtime concert at the Guildhall, and mezzo Dame Sarah Connolly is accompanied by Joseph Middleton in arias and songs by Schubert, Ravel, Debussy, Gurney, Ireland and Mozart at the Guildhall in the evening. Chloe Hanslip and Danny Driver play Mozart and Beethoven violin-piano sonatas at lunchtime on Wednesday and the wonderful Tallis Scholars, under their conductor Peter Phillips, with James McVinnie, chamber origan, give a programme called The Path to Purcell – Gibbons, Tomkins, Humfrey and Purcell – at St Mary’s in the evening. Pianist Jonathan Biss gives a Thursday lunchtime recital of works by Haydn, Schumann and Mozart, and the London Winds, celebrating their 30th anniversary this year, gives an all-Mozart programme at the Assembly Rooms at 7.30pm (with a pre-concert talk at 6.15). On Friday, the Amatis Trio with viola soloist Elvind Ringstad play a programme of Mahler, Mozart and Schumann at 3pm at the Guildhall, and the Belcea Quartet are at the Assembly Rooms at 7.30 playing works by Janacek, Beethoven and Haydn. The festival ends on Saturday, 17th, with the Belcea Quartet playing Mozart, Bartok and Mendelssohn late quartets at the Assembly Rooms, at 11am, and the finale is La Nuova Musica at Bath Abbey at 7.30pm. There is a pre-concert talk by their conductor David Bates at the Pump Room at 6.15, and the concert, with soprano Lucy Crowe, tenor Benjamin Hulett, baritone William Berger and the Holst Singers, will be Haydn’s The Creation. Pictured: Juliet Stevenson, the Tallis Scholars and La Nuova Musica. Posted in The Art of Sound on 3 November, 2018 .